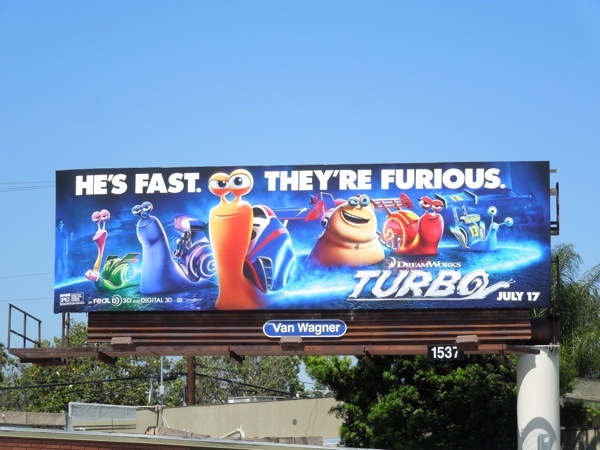 DreamWorks Animation has a new character racing onto the scene, the super fast snail called Turbo (who has the good fortune to be voiced by Ryan Reynolds). 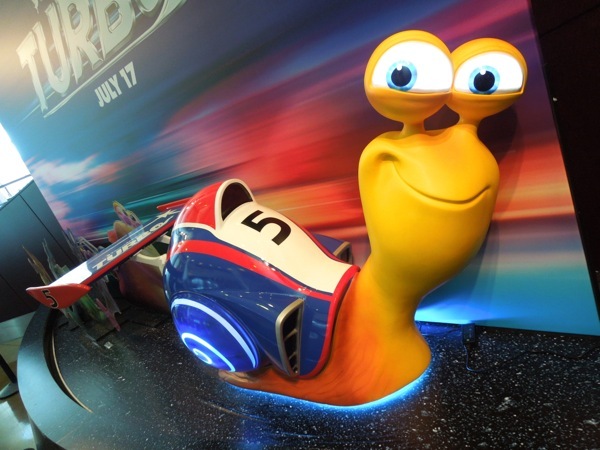 Following in the tradition of the best superheroes, after a freak accident this common garden snail is transformed into the greatest racing champion in the world. 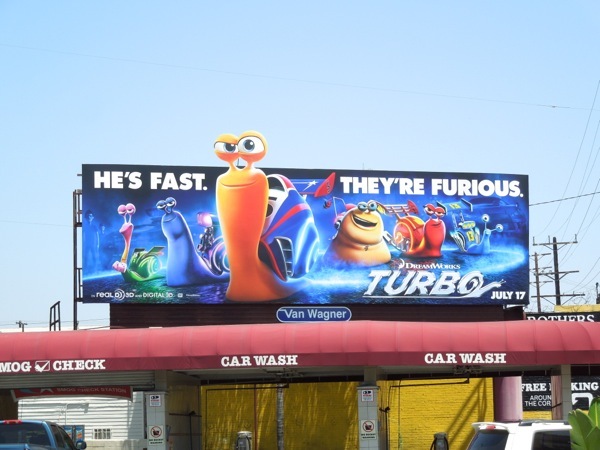 He's ready for life in the fast lane and they're all furious (loving the timely tongue-in-cheek nod to the Fast & Furious franchise). 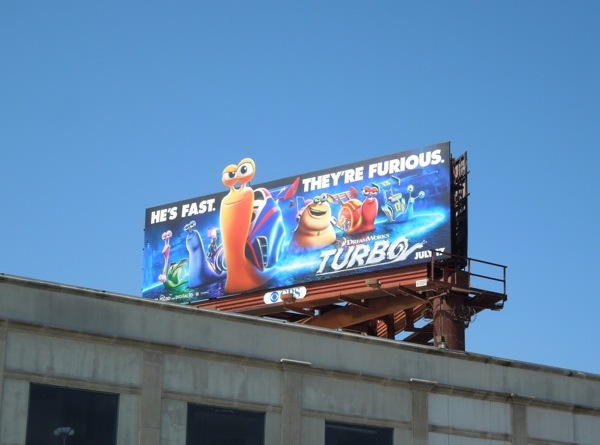 This is such a sweet ad creative with Turbo's eyes peeking out over the top of the billboard and these ads were spied along Beverly Boulevard on May 29 and Melrose Avenue on May 31, 2013. 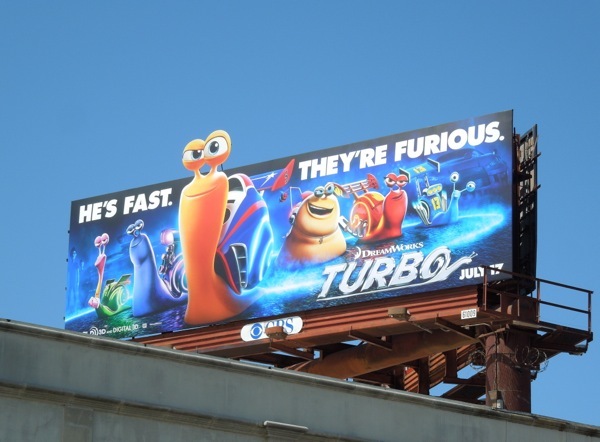 Be sure to also check out more fun DreamWorks animated movie advertising campaigns here at Daily Billboard. 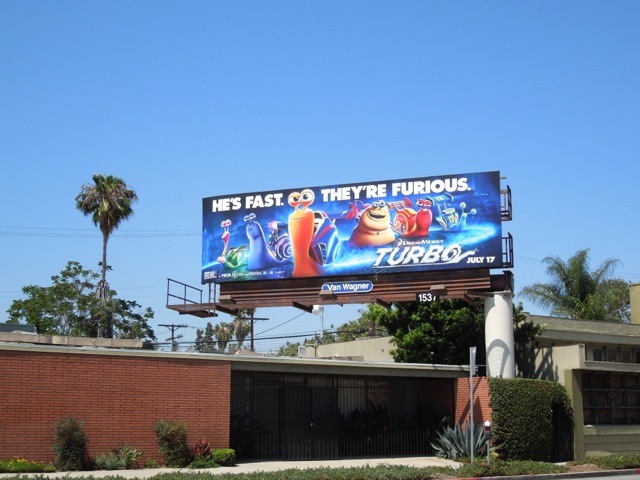 UPDATED: If you liked the special extension version, here's the standard billboard for Turbo which is still as vibrant and noticeable, spotted along Melrose Avenue on June 14, 2013. 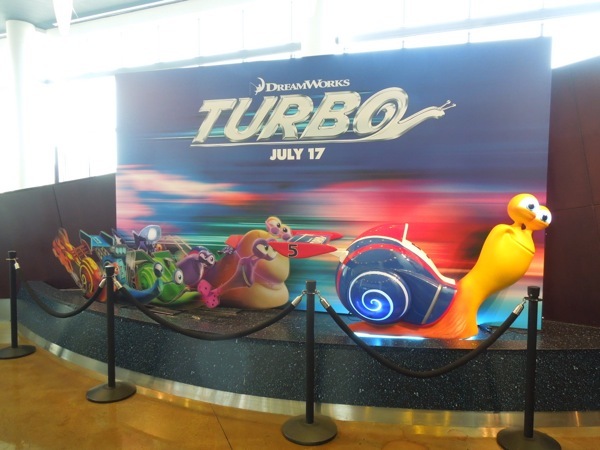 UPDATED: Daily Billboard also couldn't resist sharing these photo of this Turbo cinema standee in the lobby of family-friendly ArcLight Sherman Oaks movie theatre on July 23, 2013. 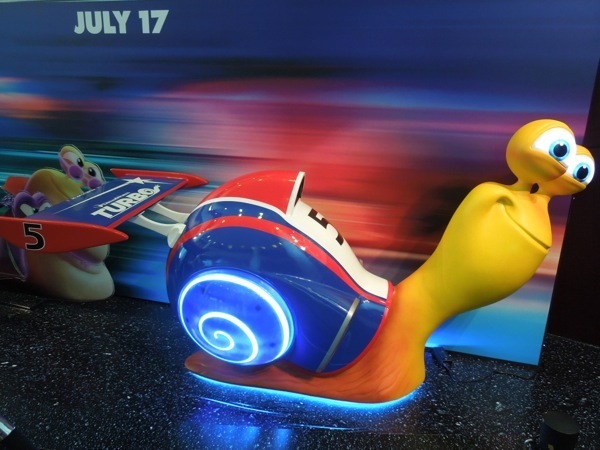 The super-powered racing snail looks great all illuminated and on display, don't you think?